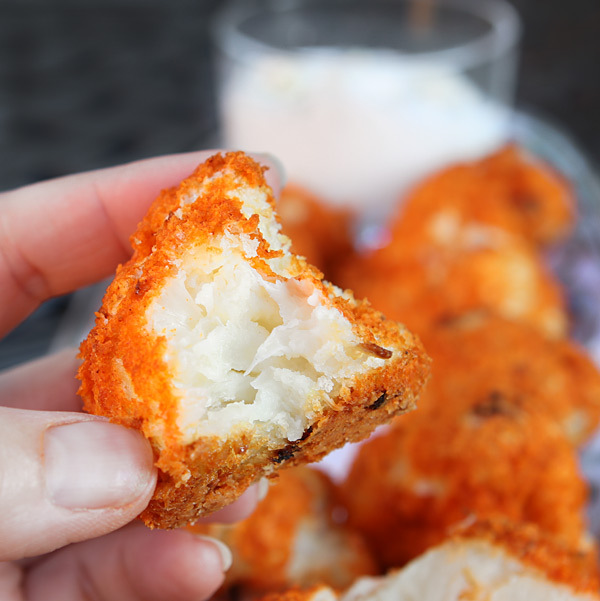 Buffalo Baked Cauliflower will dazzle Buffalo Wing lovers without all the calories. 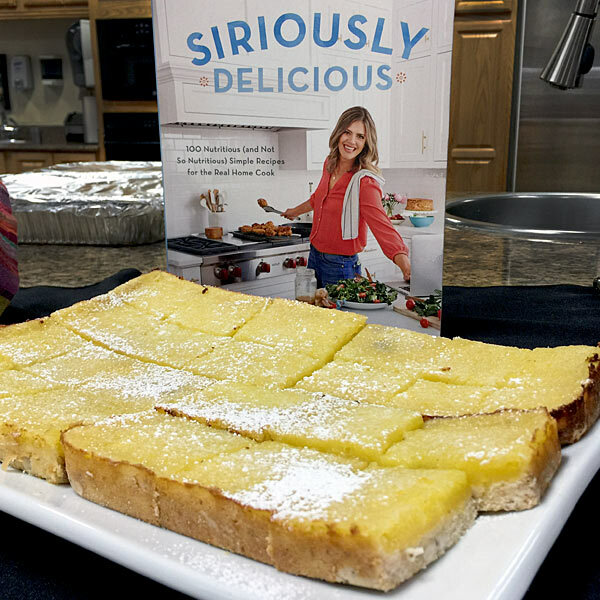 If you love homemade meals for your family but find yourself short on time or ideas, Siri Daly’s new cookbook Siriously Delicious is for you. Siri is always thinking one meal ahead. 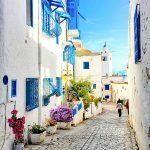 Like many parents trying to feed their families, she is a very busy cook who turns out daily meals for her three kids (all under the age of 10) and her bicoastal husband Carson Daly (“The Voice” host and “TODAY” co-host). Siri Daly was a television writer and producer before becoming a stay-at-home mom. 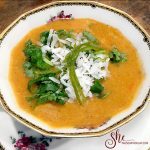 She started her food blog, Siriously Delicious, as a place to keep track of the recipes that worked for her monumentally busy life. In her book, the selection is eye-popping, colorful, tasty, and easy to put together. And what I liked about it is all the ingredients are all easy to find and no special equipment is required. 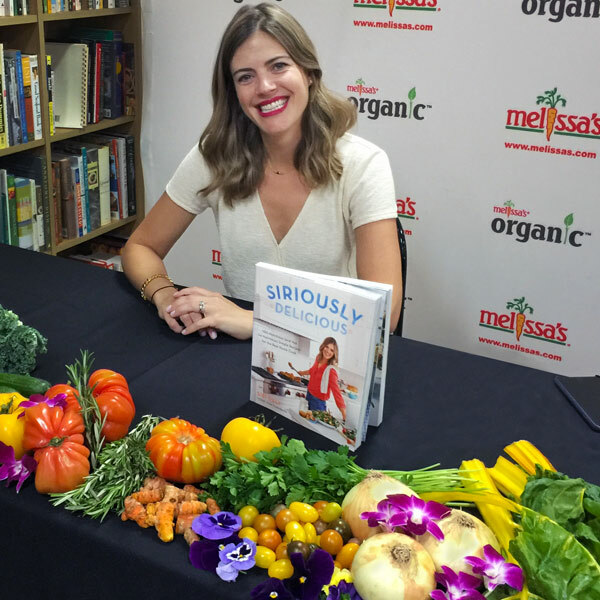 I recently met Siri at a media meet and greet luncheon at Melissa’s Produce where she talked about balancing her priorities and still getting great (and interesting) food on the table for her family. 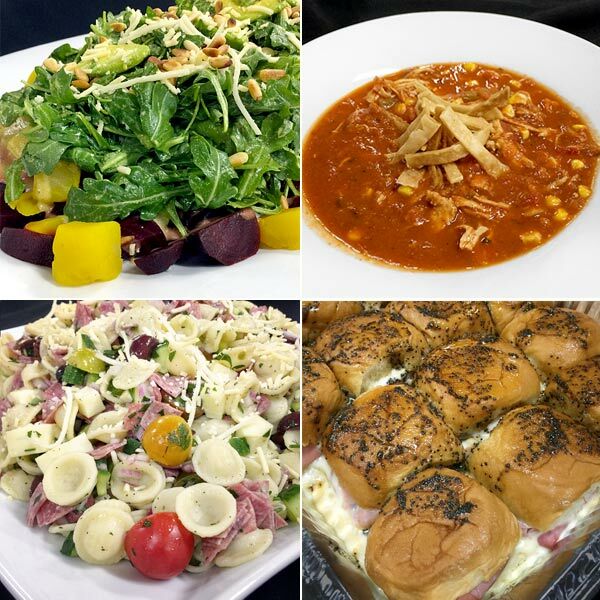 Here are a few recipes we sampled. 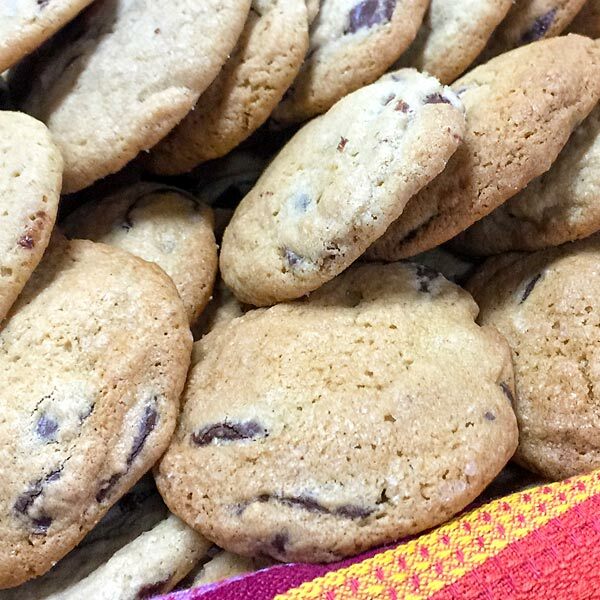 Siri’s version of chocolate chip cookies is soft and chewy in the center with slightly crisp edges. Just how I like them. 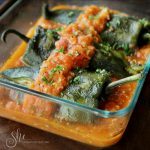 At home, I made these recipes. I may have added a few more ingredients to this recipe! With only 20 minutes of prep time, I might have found a few extra things like pumpkin seeds and cranberries to add to the mix. I also used almond butter instead of peanut butter and used maple syrup instead of the honey. Yes, I completely altered her recipe, and it still worked, and that is the joy of this book. You can mix and match, adapt to what you have, and you’ll come out with star-studded recipes. I like big flavors. 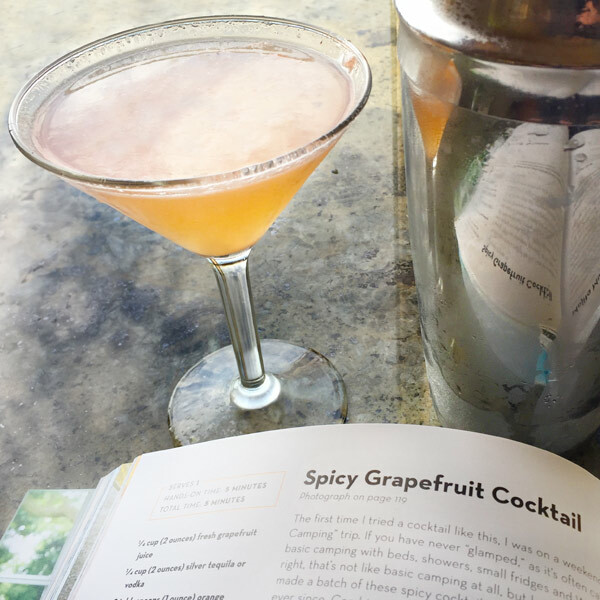 Tart grapefruit and spicy chile peppers are a perfect pairing for this slightly sweet drink. This recipe is for kids (and adults) who don’t get enough veggies. I think my eggs were too large for this recipe so I added 1/4 cup panko flakes to help bind it. I also found it was easier to form the patties by using a food molding set. 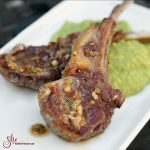 We cooked them on the grill instead of frying them in a pan and they turned out great – slightly crisp on the outside, tender on the inside! 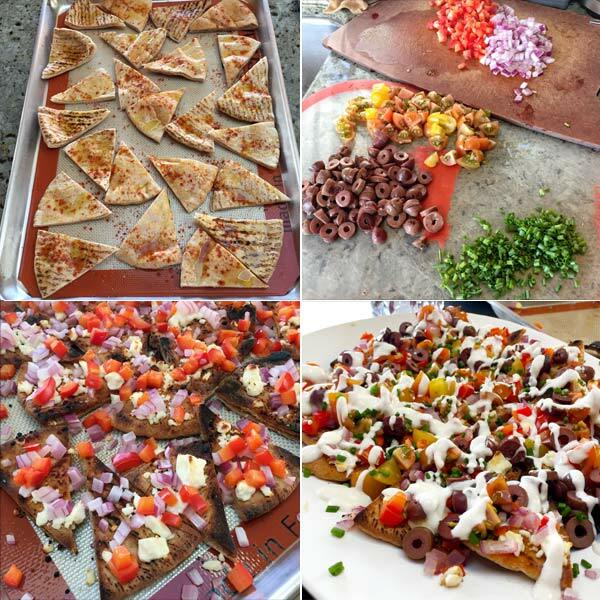 They Greek Nachos were a hit with my crowd. This is a fun twist on your typical Mexican nachos – watch the pita bread in the oven, as they can burn quickly! I adore this decadent appetizer that presents beautifully. 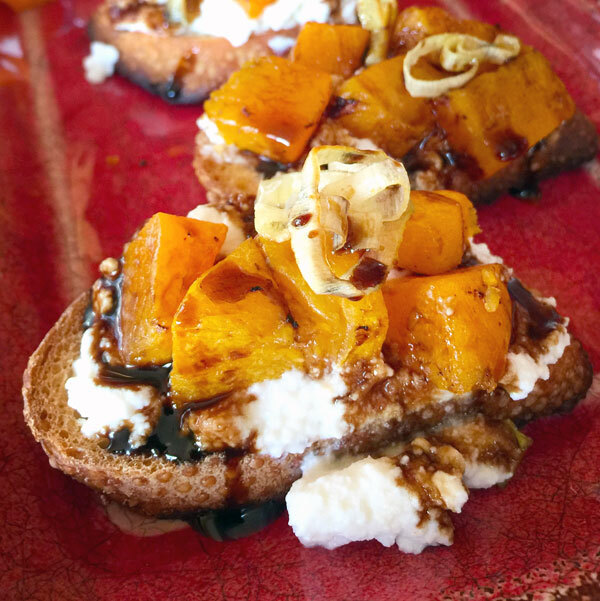 Roasted squash, caramelized leeks, combined with creamy ricotta creates a rich and satisfying flavor. The drizzle of balsamic glaze sends it over the top. Impress your friends with this one. I messed up this recipe the first time I made it and it still turned out great. I mixed the dipping sauce with the hot sauce for the final bake. This is a classic “I didn’t read the directions all the way through” scenario. The second time I made it, I followed the directions exactly. I like it both ways. 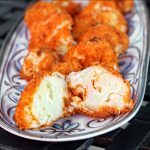 I have to say no matter how bad you try to mess up this recipe for Buffalo Baked Cauliflower, you just can’t. If you want to forgo the dipping sauce and add it to the hot sauce it will produce a perfectly spiced Buffalo Baked Cauliflower. If you like it hot, follow the directions. This spicy appetizer is a healthy spin on Buffalo Chicken Wings. Enjoy the flavor without all the extra calories. Preheat the oven to 425°F with the oven rack 8 inches from the heat. Combine the flour, 1 teaspoon of the salt, and 1/2 teaspoon of the pepper in a shallow bowl. Combine the panko, 1 teaspoon of the salt, and 1/2 teaspoon of the pepper in a second shallow bowl. Place the egg whites in a third shallow bowl. Working in batches, dredge the cauliflower in flour mixture, shaking off the excess. 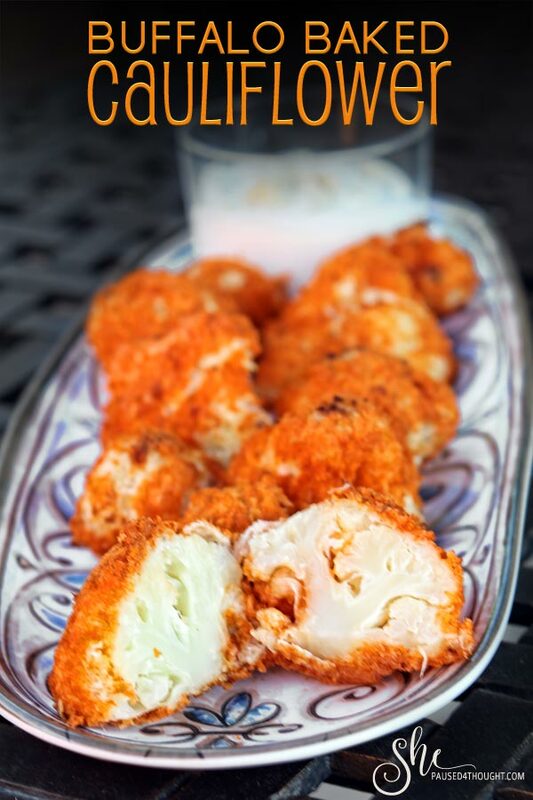 Coat the cauliflower in egg whites, and dredge in the panko, shaking off the excess. 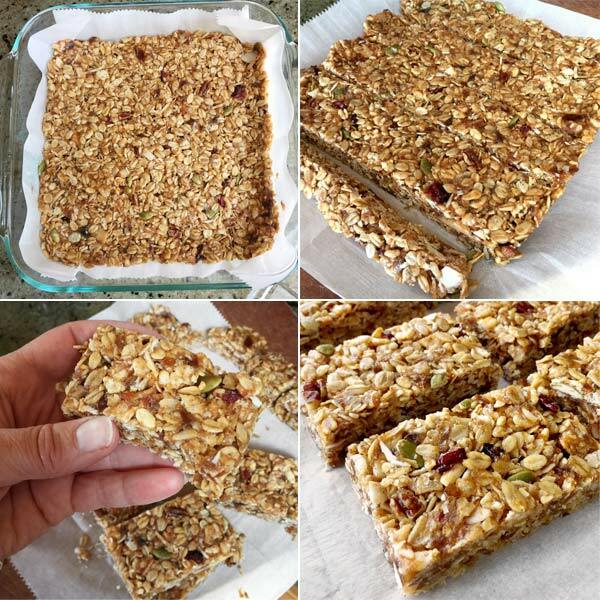 Place on a lightly greased, aluminum foil-lined rimmed baking sheet. Bake until the cauliflower is tender and golden, 35 to 45 minutes. 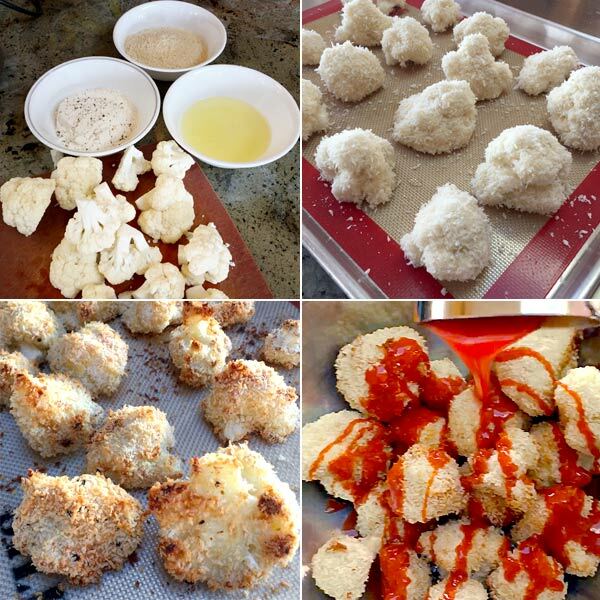 Remove the cauliflower from the oven, and increase the temperature to a high broil. Toss together the roasted cauliflower and buffalo sauce in a large bowl. 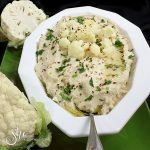 Spread the coated cauliflower in a single layer on the baking sheet, and broil until lightly charred, about 4 minutes. Stir together the yogurt, blue cheese, buttermilk, mayonnaise, lemon juice, and remaining 1/4 teaspoon each salt and pepper. Serve with the cauliflower. What I appreciate about Siriously Delicious is the simple approach to family-friendly food. Since I don’t have kids and prefer a more complex flavor, I simply add my own touches to the recipes. You can do the same… or not. Both ways produce a good result. Disclaimer: I was given a copy of Siriously Delicious to review. All opinions are my own. Looks really yummy! BUT I must admit that I do not know what buffalo-style sauce is or where to buy it? Is it at all sweet? You can buy buffalo-style sauce at any grocery store. The most famous and common is Frank’s RedHot which was the secret ingredient used in the original Buffalo Wings created in Buffalo, NY, 1964. It is very spicy like most hot sauces and definitely not sweet. Here are the Ingredients: Distilled Vinegar, Aged Cayenne Red Peppers, Salt, Water, Canola Oil, Paprika, Xanthan Gum, Sodium Benzoate (as a preservative), Natural Butter Type Flavor And Garlic Powder. Thanks I’ll try to find the Frank’s, could be good. I tried the recipe. Yum! I’ll definitely make it again. So glad to hear you liked it. It will be in my rotation of favorite appetizers as well. 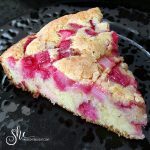 Oh my goodness, all the recipes look so delicious (should I say “Siriously Delicious”?!?!) And you’ve presented them to perfection! I’m going to have a hard time deciding which to make first!! Thank you! It is a delicious book to cook from. All of the above recipes sound and look delicious, now if somebody made them for me I would be happy to eat them. I will happy to make them for you any time! 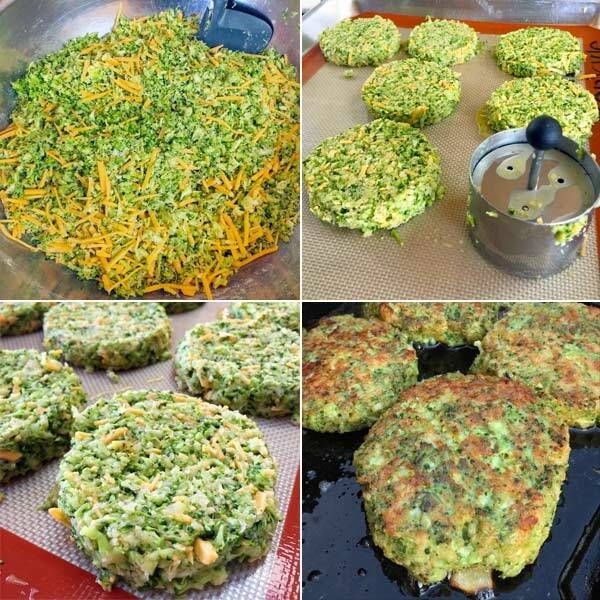 I seriously have to try the broccoli cheese fritters!!! Those looked yummy and healthy!!! I might be able to get my son to eat a bite of broccoli if it has cheese!!! It’s hard to get a green in that kid… well… man… he’s grown now… but still has kid tastes!!! I would love to know what he thinks. I served it to a professed broccoli hater and he loved them. I’m not a cauliflower fan (don’t yell at me), but I will say that the Huntington had (has?) a cauliflower dish that was to DIE FOR. I could seriously get behind these to, because WHO in the world doesn’t love hot sauce on anything and everything!? I need to make these very soon (honest)! I must try the cauliflower dish at the Huntington.